Social media is consistently changing every day which is probably why I love it so much. Instagram however currently has my little creative heart. The updates happen so quickly it’s a constant challenge to brainstorm new ways to create content on the platform. Recently Instagram added the “Highlight” feature and it is honestly amazing. Ever since the release of Instagram stories I’ve completely stopped using Snapchat. I still have my account but I rarely post. With the new Highlight feature, you have the option of keeping selected stories for more than 24 hours and store them on your profile for followers to view anytime. If you have a business account you can track the analytics for followers, stories and post. I’m personally hoping that Instagram adds the ability to view the highlights analytics. To keep your Instagram highlights organized you can create covers to go along with your selected titles. Below is an example of the ones I’ve created. 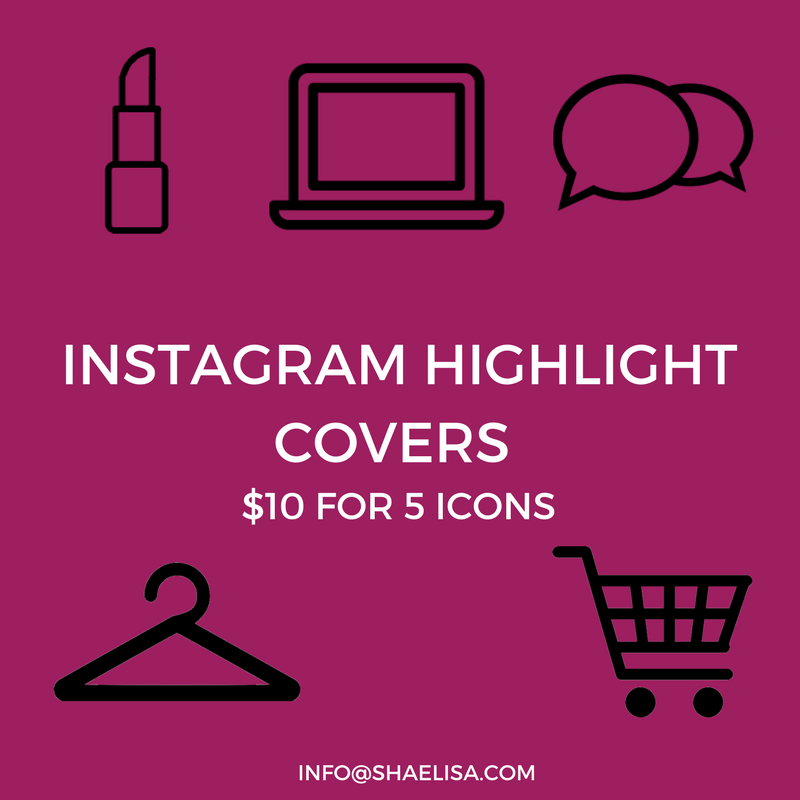 These are perfect because you can customize them to your brand which gives your Instagram a cohesive feel. If you would like me to create your own Instagram Highlight Covers fill out the form here. For $10 you will get 5 covers with instructions on how to use them. 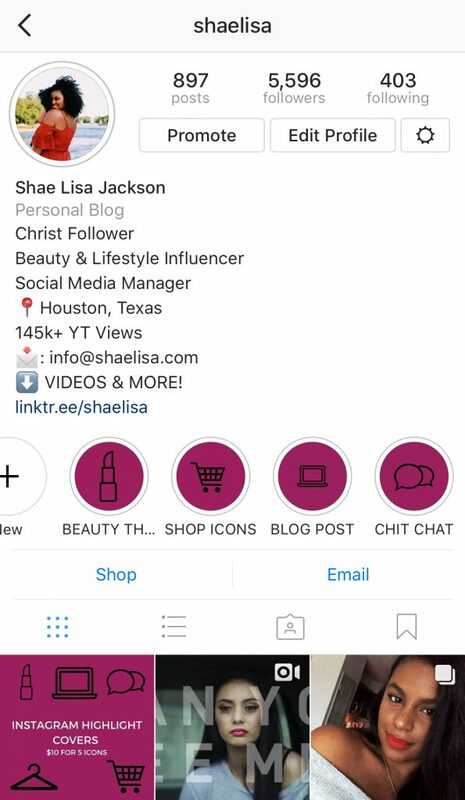 View my Instagram account to check out how I use them on my profile! 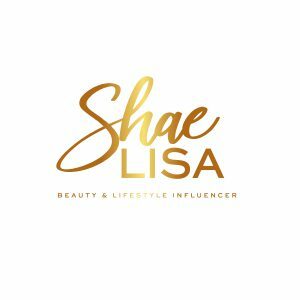 If you have any questions please email me at info@shaelisa.com!